Note: St George’s Golf Course has now closed. We have kept this listing online as many of our readers are still searching for information about its status. The wind rules the roost at this government-run golf course located on the north-eastern tip of Bermuda. 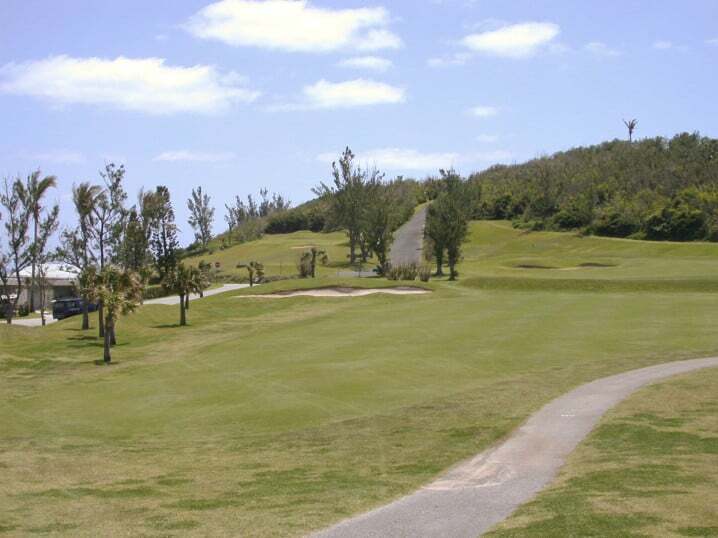 As its name implies, the course is situated near the historic town of St George and is popular with visitors taking a Bermuda cruise. The signature hole is the 326 yard, par-4 14th; a dogleg hooking around Coot Pond. A helpful wind may entice you to go straight for the green. Fort St Catherine overlooks the 15th. Use of golf carts is mandatory on weekends and public holidays. Proper golf attire and soft-spiked golf shoes are mandatory. As with the other government-run courses, Ocean View and Port Royal, reservations can be arranged through an automated reservation system by calling 234 4653.